As a fan of 19th century literature, Jane Eyre is one of those books that you keep constantly hearing about. I read this book about 5 years ago but as I could barely even remember the plot of the book, I decided it was due for a re-read. My first impression of the book at the time was that it was a good story with interesting characters but just not my cup of tea. To be fair, I was younger and had not read much of adult fiction. 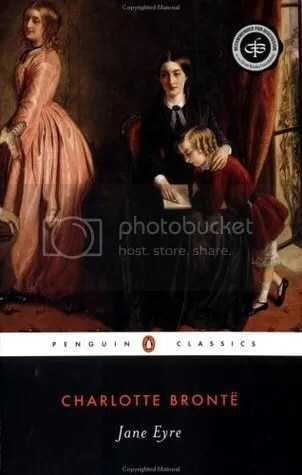 Jane Eyre tells a story of an orphan girl who is brought up by her haughty aunt, sent to a strict boarding school and, reaching the age of nineteen, goes to work as a governess. The heroine is described as plain looking but her mind is strong and beautiful, which attracts the master of the house. The book has several aspects that I love. Jane is very independent and strong, but in the course of the book she is tested and is shown to also have her weaknesses. It’s incredible that at the age of nineteen, the heroine is as mature and educated as in this book. Furthermore, the debate over the equality of the two sexes was definitely something that I had forgotten and that I was very intrigued by. Beside the love story, another interesting element in the book is the mixture of religion and the supernatural. I enjoyed Jane Eyre very much, although it took me a long time to read. As November got hectic, I often had days when I did not have time to read or was too tired to continue reading. And, of course, there was the shadow of re-reading: I knew what was going to happen but as the writer at times lingered, describing the wind, the rain or the hills, I got impatient. Had I not been feeling so stressed, I might have enjoyed the reading the book more. I did, however, enjoy the book more than the first time and could better understand the underlying tones of the story. I can easily see why so many love this book, and definitely recommend it to those who love for example the works of Jane Austen. Leena Vaahtera and Antti Salokoski – the mother and ex-boyfriend of Finland’s greatest rock star Summer Maple, real name Suvi Vaahtera. Both of them – willingly or not – play a part in the fairy-tale story of Summer Maple. Perhaps as side characters as neither can control her story. But can anyone? For Summer Maple has disappeared, like a needle in a haystack, in the middle of her visit to Africa. In their own ways, both Leena and Antti unravel their lives and their relationship to a person whom they love but who has transformed into someone else. How to connect with her whose whole presence is only dreams and illusions, who belongs to everybody and nobody? 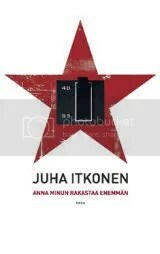 This is the second novel by writer Juha Itkonen. It is an intense description of the dreams and wishes of two generations, as well as of the price of these dreams. It is a book about music. About love. About the ultimate love of music. Anna minun rakastaa enemmän starts with the news of the disappearance of Summer Maple, Finland’s greatest and most successful rock star. The news come as a shock to Antti, an ex-boyfriend of Summer Maple, and he begins to reminisce their relationship and the beginning of Summer’s career. Next, we are introduced to Leena, a normal middle-aged woman who is cleaning the house in preparation for a move. But Leena is not completely ordinary – she is the mother of Summer Maple. The narration of the story alternates between these two characters and between the past and present. We get a glimpse of the 1970s and the romance of Leena and her husband Risto. Next chapter, we meet Summer Maple, then Suvi Vaahtera, for the first time in a house party in the 1990s. 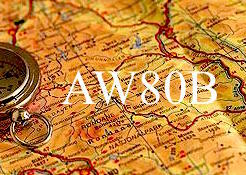 The descriptions of different time periods were all very interesting – the wealth of the 1980s, the depression in the 1990s, the globalisation of the 2000s. For a music fan, this book is a treasure as it is filled with details that connected it to a real-life events and bands. The writer had really done an immense job in depicting the society of the time, and for that I cannot but love the book. At times, however, the description takes over from the plot which slows down the reading. The amount of detail also slows down the book, making it not so easily digestible. Anna minun rakastaa enemmän has two narrators, Leena and Antti. Both have their own, specific voices and it was interesting to see the differences as well as the similarities of these narrators. The characters never meet in the story so the only thing that connects them is the girl they both love. Or is it? In a way they are similar in their undying, devoted love. At the beginning of the book, I got a feeling that it would be very similar to Deborah Spungen’s book. However, this story was not just about Summer Maple – it is about love and the hard reality of falling in love. 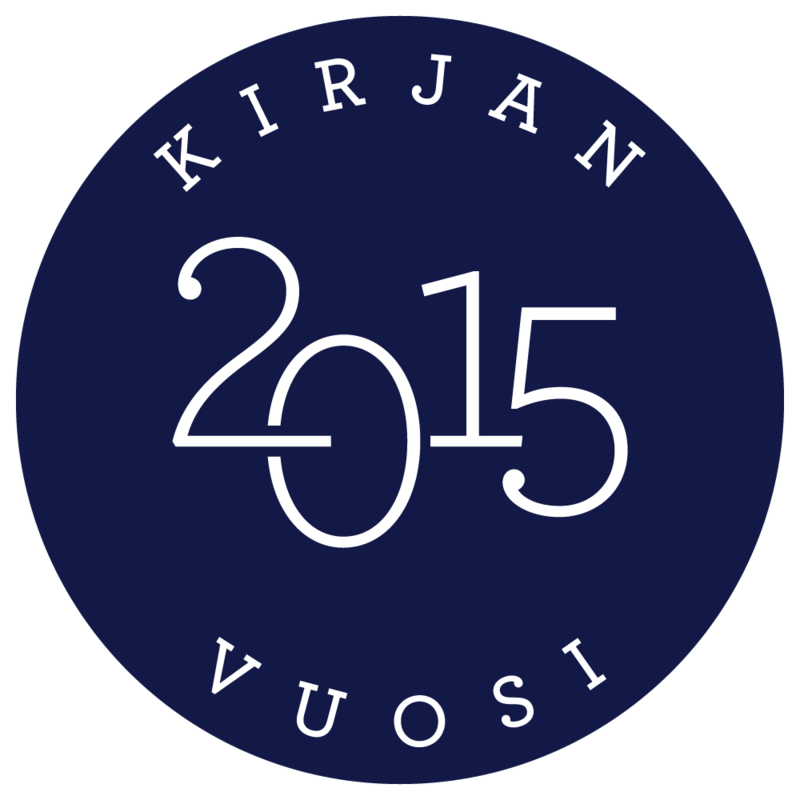 For me, it was refreshing to read well-written, modern Finnish fiction – a genre that I rarely read these days – and hopefully I’ll get to read more of Itkonen’s works sooner or later. I am ‘he’ in Summer Maple’s songs. First it was only a line, written at the back of an electricity bill. From one of England’s most celebrated writers, the author of the award-winning The History Boys, a funny and superbly observed novella about the Queen of England and the subversive power of reading. I found this book at the Helsinki Book Fair last month, lying on a table that was staggering under the weight of all the books. The title, suggesting something bookish, naturally drew me in and after I had read the back cover, I quickly rushed to the counter to buy it. 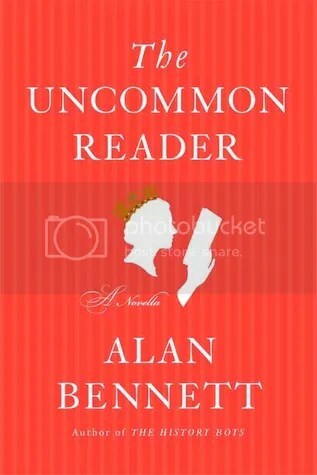 Alan Bennett, a renowned playwright and author extraordinaire, is a huge name on the island called the United Kingdom. My professor at the university has often mentioned him as being in one of the British culture geniuses, and I absolutely loved Beyond the Fringe when I first heard it in a radio clip. Hence, I was surprised to find out that The Uncommon Reader (published in 2007) is, in fact, Bennett’s first book that has been translated into Finnish. The story is simple enough: The Queen discovers a bookmobile near the castle, takes a quick look inside, and feeling it to be the duty of a Queen, borrows a book. No harm done, right? Yes, one might say that this is perfectly common; only one book quickly leads into another and soon the whole palace is struggling to come into term with the Queen’s new hobby. On the premise it seems a very unlikely story, but Bennett’s wit is dry and his pen is sharp. The book drew me in, and it was surprising to notice how quickly I stopped to think of the main protagonist as a Queen of England, and more as a Reader with a capital R. The book is an ode for reading; a study of how reading is seen in the society; and a commentary on the obstacles that a reader faces. The name of the book itself is clever, a play on the different meanings of common. I loved this book: it was entertaining and still, in the middle of all the laughter, managed to carry a deeper meaning. 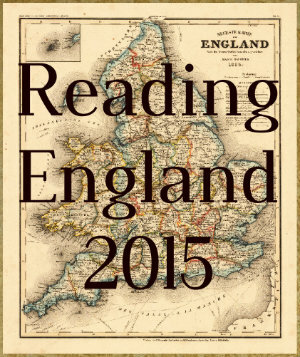 I highly recommend this to all fellow readers as well as to those who live with avid readers. In penning this brilliant burlesque of children’s literature, Carroll has written a farcical satire of rigid Victorian society, an arresting parody of the fears, anxieties, and complexities of growing up. Carroll was one of the few adult writers to successfully enter the children’s world of make-believe: where the impossible becomes possible, the unreal–real, and where the height of adventure is limited only by the depths of imagination. The story of Alice in Wonderland is familiar to almost all of us thanks to the Disney movie from 1950’s – a true classic that I still enjoy watching – and the latest movie adaptation directed by Tim Burton. However, it is regrettable that before this year I had never read the actual books. Only after an English module in Oxford last year did I realise how little I truly knew of this classic. After finishing City of Ashes last week, I wanted to read something short and fun. And Lewis Carroll certainly delivered. The two books had so many poems, riddles, word-play, and beautiful illustrations that it was truly a pleasure to read. It was interesting to compare the storyline of the 1951 movie with the original plot of the books as you could see how it had been adapted. 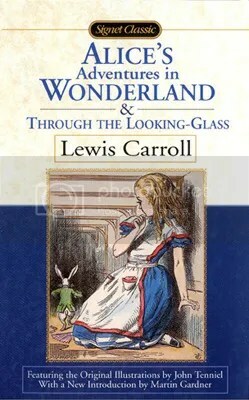 However, the movie does follow more on the story of the first book, Alice’s Adventures in Wonderland, including characters and riddles from the second. I especially found it interesting how the education norms – that is, norms in 1865 – were questioned in the books (not just by the creatures but also by Alice herself). The logical debates were interesting to ponder upon, and I did make it a habit of only reading a few chapters at a time and then going back to read some passages again. Lewis Carroll’s writing is timeless and the story is presented in a way, that I can see myself reading this book again and again without growing bored. Tenniel’s illustrations fit perfectly into Carroll’s work and I could not imagine that reading the book without them. Similar to Quentin Blake’s illustrations in Roald Dahl’s books or Ernest Shepard’s illustrations in The Wind in the Willows and Winnie-the-Pooh, the pictures are not just there to fill the pages. They integrate into the story and let the reader’s imagination fly. I think that to categorise these two books as only Children’s Literature would be a mistake as they feature many puzzles that might be hard to grasp – especially by today’s reader as so much has changed compared to the 19th century. However, the story of Alice and her adventures definitely presents us a challenge of having a courage to think different from others and of asking questions, even if they appear nonsensical. My review of City of Bones can be found from my old Tumblr account (which I still do update from time to time), so if you’re interested on my thought on that – go and read it first. In summary, I loved Jace and the sarcasm in the book, but I did also see its faults. I also foresaw that the sequel might present a disappointment . And unfortunately, that’s what it feels like. City of Ashes continues about a week from where the City of Bones ends. And it seems like nothing has changed. For some this might be a positive thing – the book picks up right from where the previous ended – but for me, I had hoped for something more. As a book, City of Ashes focuses more on exploring the world of the book series. It introduces the hidden world of New York – for example the Faerie Court and Werewolf community. We are also introduced to a werewolf girl, Maia, who presents a different perspective to the story. I again loved the sarcasm embedded in the story. It made reading a fun experience, and I laughed out loud several times. Despite the plot being fast paced and full of action, I felt that the character development wasn’t up to par. The two main characters were naturally explored, but I had hoped that the book would present a new perspective to the characters. The side characters were left to the side, and instead of giving depth to the already introduced characters, the book introduces a number of new ones. In addition, the element of siblings pining after each other is a bit unsettling, although it was hard to picture them as brother and sister. I can’t deny that the book (and the overall series, so far) isn’t entertaining but as a reader I want more. All in all, I’m not really sure if I liked this book or not. 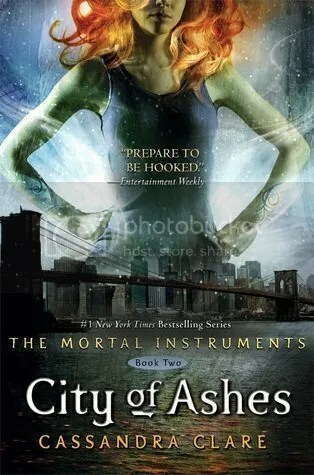 I gave the first book of the series 4 stars (mainly because it drew me in so completely) but City of Ashes left me unsatisfied. Still, it was an entertaining book and I will eventually be reading the third and the fourth book. The Mortal Instruments series entertains me and I’ve grown attached to the characters. It might not survive a re-read, but sometimes reading just once is enough. One of Shakespeare’s darkest and most violent tragedies, Macbeth’s struggle between his own ambition and his loyalty to the King is dramatically compelling. As those he kills return to haunt him, Macbeth is plagued by the prophecy of three sinister witches and the power hungry desires of his wife. I didn’t plan to read anything special on Halloween but it turned out that Macbeth fits the day – or should I say night – perfectly. Witches, assassinations, tragedy – Macbeth has it all. The story follows a man named Macbeth, a distinguished hero and a Thane of Glamis (for the word thane, see Oxford definition). Returning from a battle with his friend Banquo he meets three witches that tell him he shall first become the Thane of Gawdor and later the King of Scotland. Macbeth dismisses these words as lies of the devil but when the news is brought that the current king has decided to name him Thane of Gawdor, Macbeth begins to believe that the witches were truly foretelling his future. I originally picked up this and Twelfth Night because I’m working on a group presentation on Shakespeare based on these two plays. As I mentioned in the review of Twelfth Night, I am ashamed of how little Shakespeare I have actually read. Alas, I am now very much falling in love with Shakespeare. His plays are fast paced with multiple characters and still manage to have elements that ring deeper than surface. 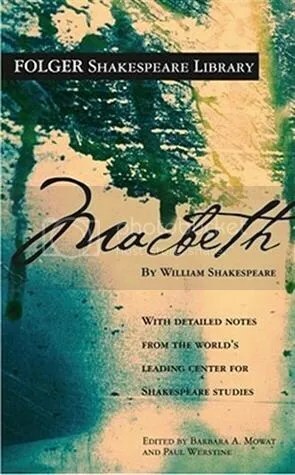 In the introduction of this play, the editor puts forth the idea that Macbeth is a fairly simple play with a straightforward plot and a distinct opposition between the good and evil. However, as one starts to read deeper into the play, the simpleness of the surface disappears leaving questions behind. Last month I set myself a goal of reading 7 books in October, and I did read seven books – just not the ones that I had planned to. In October, my biggest reading challenge was to read the first book in the A Song of Fire and Ice series which I finished on the 29th, go me! All in all, October was a relatively good reading month for me. There were books that I just devoured in a few days and then there were books that took me a week or even longer to read. I enjoyed most of them, though some not as much as the others. The books that I didn’t read from my last month’s TBR will be moved to November’s reading list. Also, I have a couple of library loans (such as City of Ashes by Cassandra Clare) which I want to read before they expire. 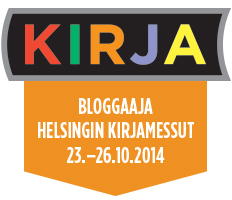 And then there are naturally the new books I bought in the Helsinki Book Fair. If I’d combine all of these titles, my list would have 12 books and – to be realistic – I’m not going to achieve that in November. So I picked seven titles that I want to read in the month of November. Last month I promised to bake a celebratory cake if I finished all of the books that I planned to read. This month I have no title that reaches the epic length of A Game of Thrones but I highly doubt I’ll manage to read all of these books in one month. Thus, I will make the same promise again.